Choosing the right business or commercial insurance plan for your business can be very confusing. We work very closely with our business clients to help them identify their insurance needs, purchase insurance products to help manage their risks, and provide the security to promote and grow their businesses. The cost of insurance is always an important consideration and we make every effort to deliver competitive pricing from our carriers. However, the true value of your insurance program is how well it performs when you have a claim. Your coverage must be appropriate and adequate. At Bob Evans Agency, we offer a broad spectrum of insurance products to meet the needs of our clients and offer consulting and risk management options to help your business. 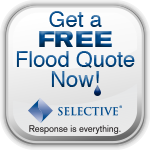 Call us today or fill out one of our free online quote forms.